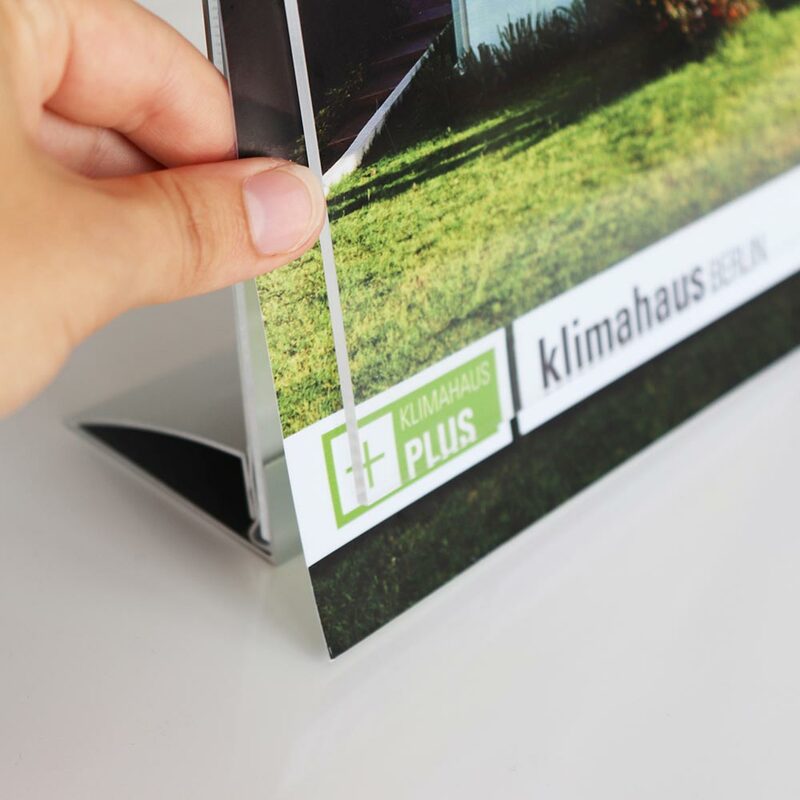 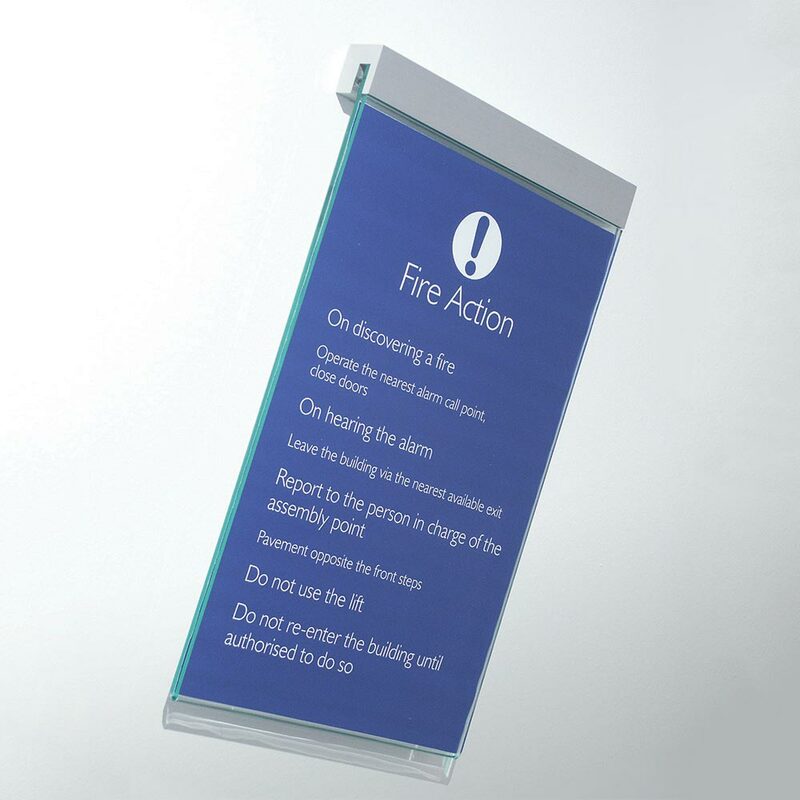 A low voltage LED desktop display frame for easy information exchange of A4 size media. 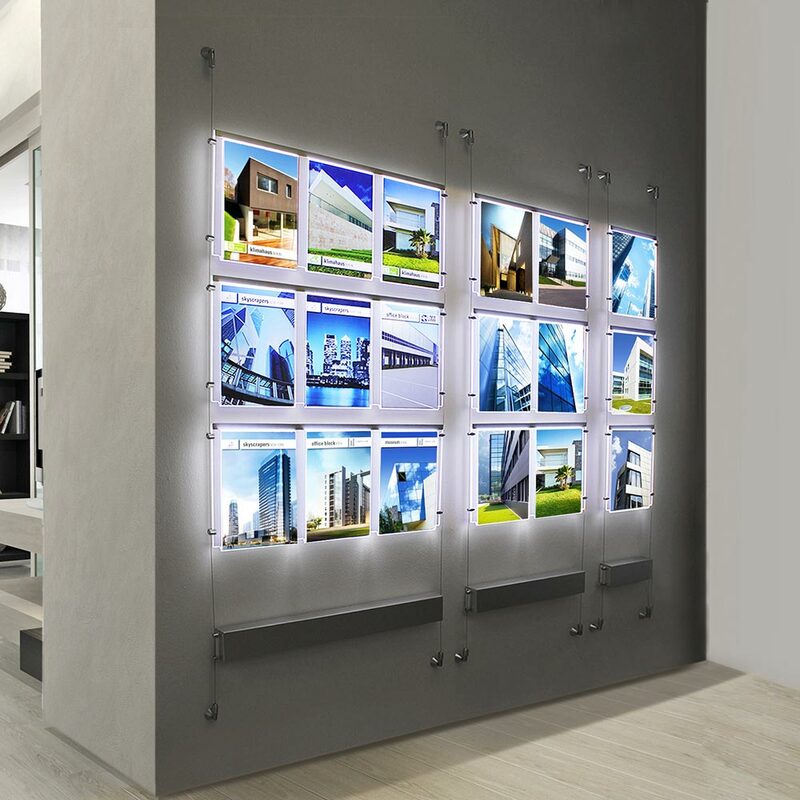 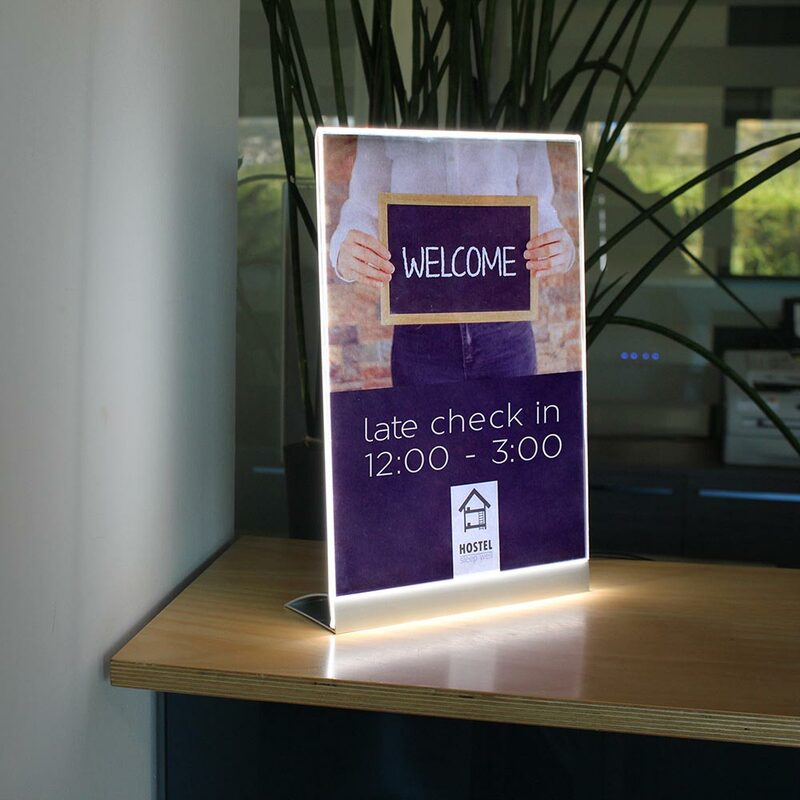 Perfect for hotels, restaurants, retail and healthcare receptions. 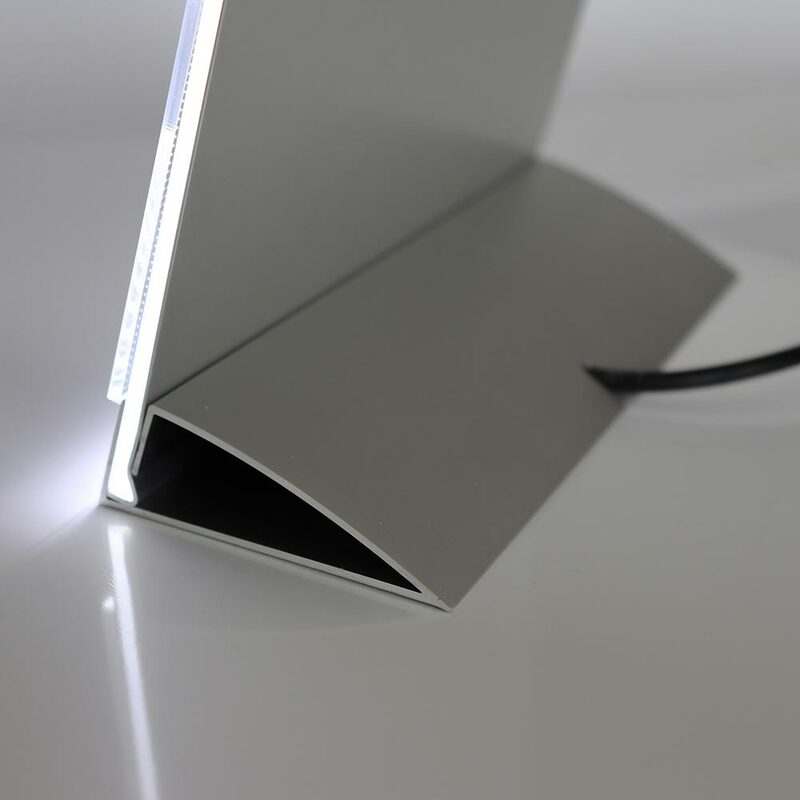 Laser engraved acrylic lightsheet, with 30,000 hours of constant illumination. 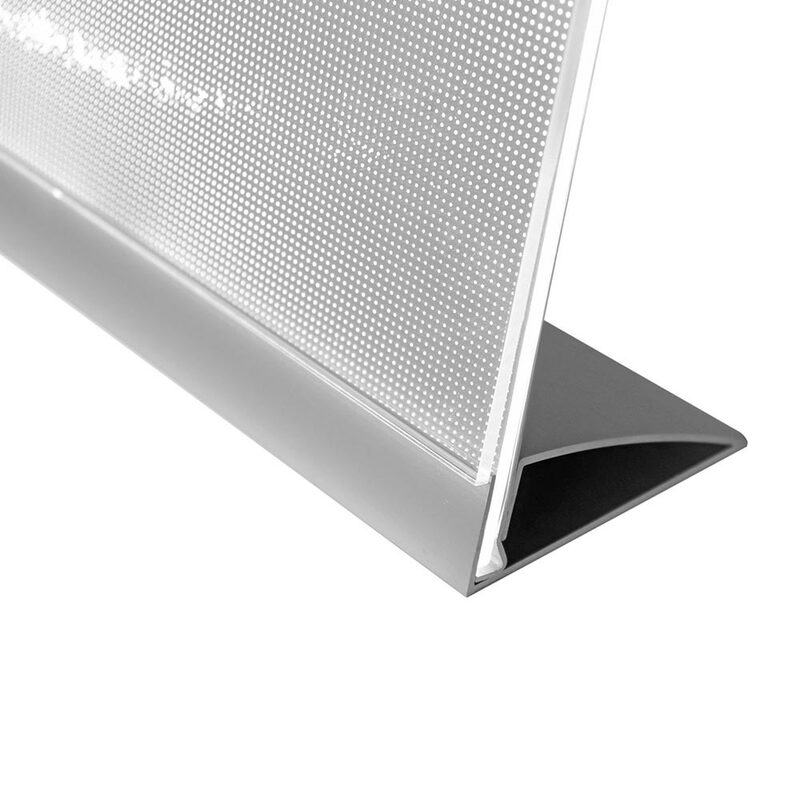 Base: silver matt anodized aluminium extrusion.